What is Acitrom (Nicoumalone) used for? 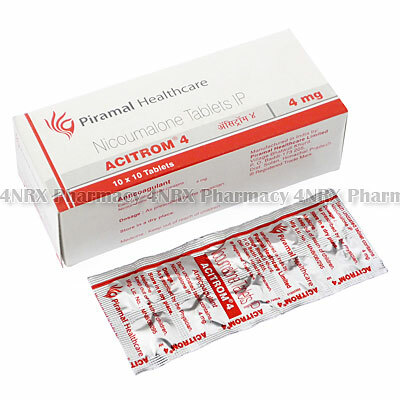 Acitrom (Nicoumalone) is an oral anticoagulant medication prescribed to treat blood clots from forming in the veins or lungs. It operates by preventing the clotting action of platelets in the blood to prevent them from forming. This can prevent the occurrence of strokes, heart attacks, pulmonary disorders, or other similar conditions. Your doctor may also prescribe this use of this medication for the treatment of other unlisted conditions. How should I use Acitrom (Nicoumalone)? Acitrom (Nicoumalone) should be used according to your doctor`s instructions to get the best results from treatment. One tablet is normally administered daily, but your particular directions will depend on your age, weight, health condition, and the severity of your symptoms. These should be swallowed with a large glass of water and may be taken on an empty stomach. A meal or snack is recommended prior to use if you experience nausea. Never change the form of the medication by splitting or chewing the tablets as this may destroy or alter the effects of their contents. What are the side effects of Acitrom (Nicoumalone)? Serious side effects possibly requiring emergency medical attention are faintness, fever, flu symptoms, unusual weight gain, or signs of an allergic reaction such as hives, swelling, or difficulty breathing. Tell your doctor about any unusual symptoms you experience to make sure the necessary changes are made to your dosage or application frequency to prevent further health complications from occurring. Acitrom (Nicoumalone) should not be used to treat patients who are pregnant, breastfeeding, children, allergic to nicoumalone, who have had a bad reaction to similar treatments in the past, or who have haemophilia, a peptic ulcer, hypertension, bacterial endocarditis, severe liver disease, or severe kidney disease. Also inform your doctor if you have recently had surgery or have tumours, widespread infections, thyrotoxicosis, decreased liver function, or decreased kidney function as these conditions may cause unexpected health problems requiring adjustments to your regimen. 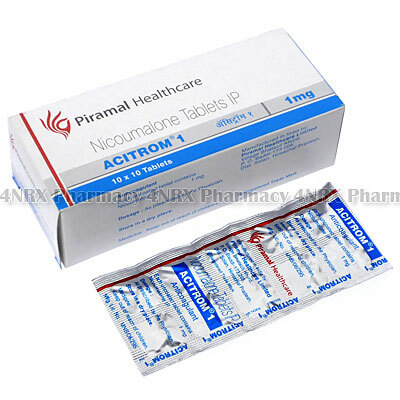 Strictly use Acitrom (Nicoumalone) as prescribed and follow all instructions provided by your doctor. Safe, suitable, and optimum dosage can vary and is dependent on the patient`s health and medical history, as well as the condition you are treating. 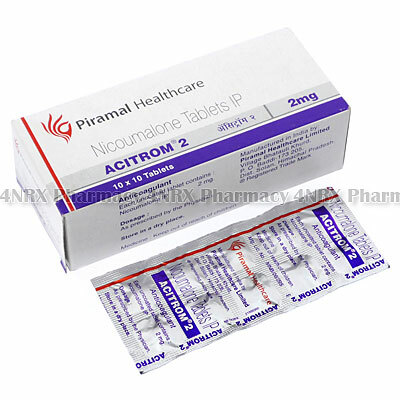 Acitrom (Nicoumalone) may not be safe or suitable for all patients. Always ensure your doctor is informed if you are pregnant or breastfeeding, using any other type of medication (including non-prescription medicine, vitamins, and supplements), as well as if you have any allergies, other illnesses, or pre-existing medication conditions.